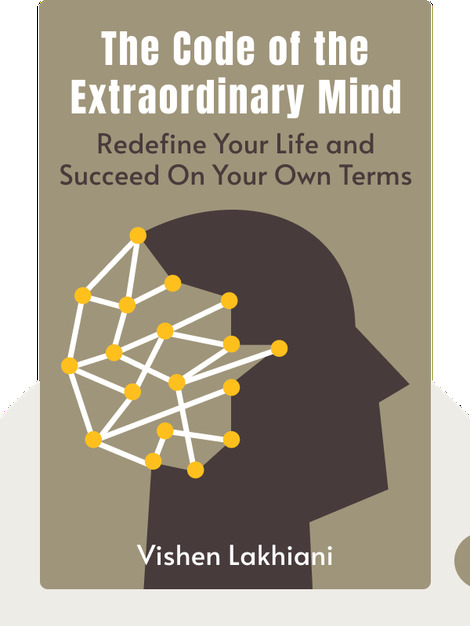 The Code of the Extraordinary Mind (2016) unveils a method for overcoming the madness of everyday life, one that enables anyone to stand out from the pack and become an extraordinary individual. The author lays down ten laws that anyone can easily follow to experience a radical transformation and find meaning and happiness in each day. Vishen Lakhiani is a Malaysian-born entrepreneur. He’s the founder and CEO of Mindvalley, a company designed to educate and empower people, helping them reach their full potential. 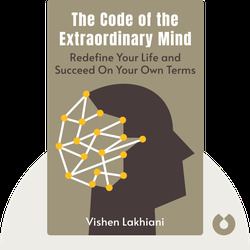 Lakhiani is a frequent speaker on improving business mindsets and company culture, and is also the founder of the Awesomeness Fest, a personal development event for entrepreneurs and authors.